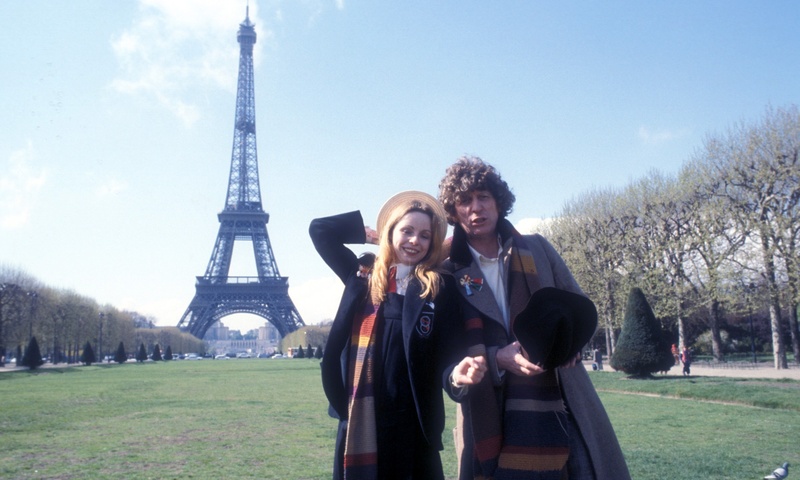 This week’s Doctor Who installment features, perhaps, my favorite Tom Baker story. It gets us out of the studio for a couple of days location shooting in Paris, has a time travel story, has some fun with said story, and has a great actor, Julian Glover, cast as the baddie. Running from 29 September to 20 October, 1979, this four-part story was written by David Agnew. Scaroth (Glover) has been stuck on Earth for 400 million years, when his ship exploded on take off and fractured him into multiple parts in multiple times. But he’s found a way to exploit that, and he’s going to perfect a temporal machine so he can return to the past, stop the explosion, and save his race, but there by preventing from life from every arising on Earth. Which sounds pretty sweet right? Well, they made it less of a dilemma, by making Scaroth, and his nearly extinct race rather villainous, so you don’t exactly empathise with them. Which is too bad. That would have been a nice moral dilemma for the Doctor (Baker) to wrestle with. 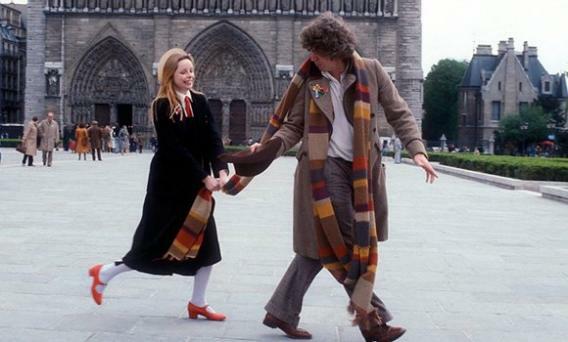 It’s late 1979, and the Doctor and Romana (Lalla Ward) are taking a couple of days to rest and relax in Paris, unfortunately, they quickly discover that someone, Scaroth, is starting to mess with the time line. But why? And what does it mean when they come across 6 other copies of the Mona Lisa, all of them legitimate? And if someone has 6 copies, why do they need to steal the 7th from the Louvre? This one ended up being so much fun to watch, there is lots going on, and we get introduced to a fellow named Duggan (Tom Chadbon), who would rather let his fists do the talking, so it’s a good thing he’s on the side of the right. And we get a funny moment with John Cleese, as he surveys the TARDIS in a gallery, mistaking it for a piece of art. It seems Scaroth plans to steal the Louvre’s copy of the Mona Lisa, and then sell the 6 other originals to discrete buyers around the globe for insane amounts of money so that he can finish his temporal experiments, and leave this planet once and for all. This story tends to rocket along pretty quick, and has a great cliffhanger partway through when the Doctor travels back to Florence to visit with Da Vinci, only to discover a version of Scaroth there waiting for him!! This one, more than most of the stories before had a real sense of play when it comes to the time travel stuff in the episode, and this tends to be the stuff I enjoy the most, travelling back and forth along the timelines, putting something in play so that in pays off, literally, in the future. Yup, I think this one is probably my favorite. But who knows, next week, the Doctor takes on The Creature from the Pit!